As a child, Neil Taylor was not unlike other boys-he would often lie on his bed, gaze at the posters of baseball stars on the walls and fantasize about someday making it to the big leagues. Now two years out of college, the Litchfield Park native is a man approaching the edge of that dream. Currently in his first season in Class A ball, Taylor expects to make a move up the minor-league ladder very soon. However, if the 24-year-old does reach the majors, it won’t be the way he envisioned while in his bedroom. His playing career finished after high school; Taylor no longer makes outs, he calls them. 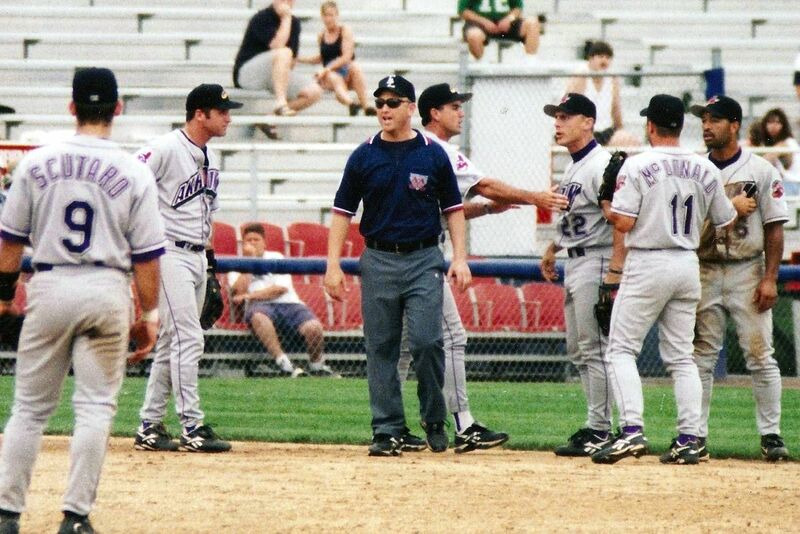 The Agua Fria Union High School alumnus has become an umpire. “After high school, my days as a player were pretty much over” Taylor said via telephone from his hotel room in St Lucie, FL where he is working Gulf Coast League games this season. “But I wanted to stay in the game. 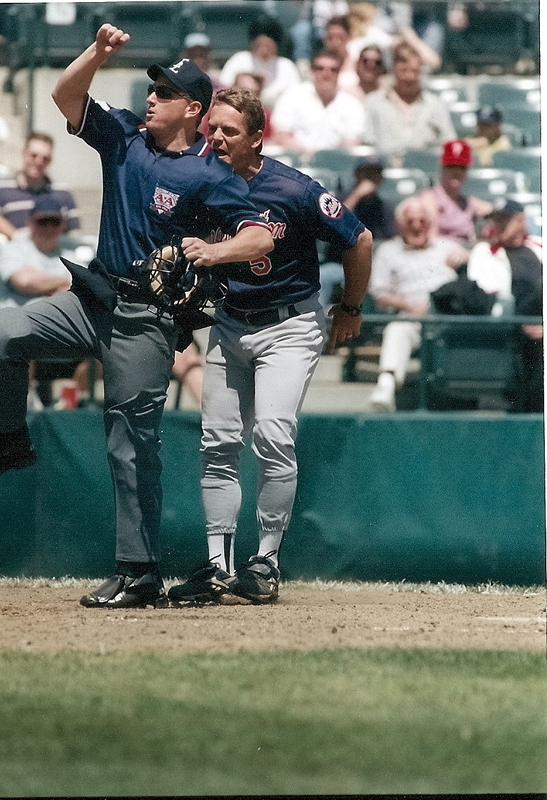 At first, I guess umpiring was just a way to make a little extra money while in college. But it really appealed to me. Once I got out of school, I knew I wanted to do this for a living. 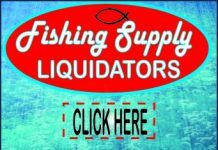 Taylor has chosen a line of work in which there isn’t a lot of glory to go around. 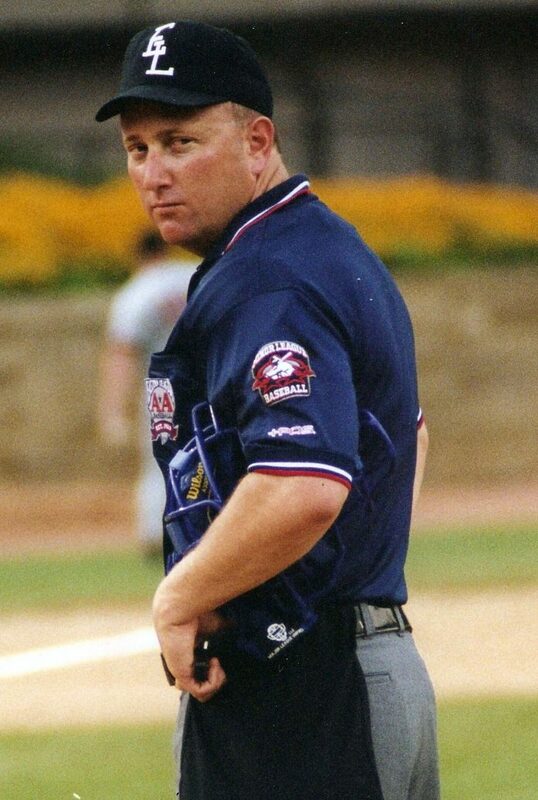 After graduating from the University of Arizona in 1993, Taylor started pursuing umpiring as a career. He spent his last two winters attending a school conducted by veteran National League umpire Harry Wendelstedt. This past winter, he finished high enough in his class to earn one of 34 invitations to Major League Baseball’s Umpire Development Program in March. There, he received assignments to work extended spring training. And then the Gulf Coast League games. When baseball finally reaches a collective bargaining agreement between the management and players, Taylor said, he could possibly earn a promotion to Class Double AA. Usually, three umpires work an AA game, but due to budget cuts brought on by the national pastime’s labor problems, there have only been two this season. 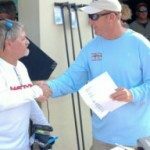 When a new agreement is reached, the third umpire will be reinstated. That should create a number of openings, one of which could be for Taylor. Even if Taylor receives his promotion to AA soon, his chances of making it to the major-league level are still limited. 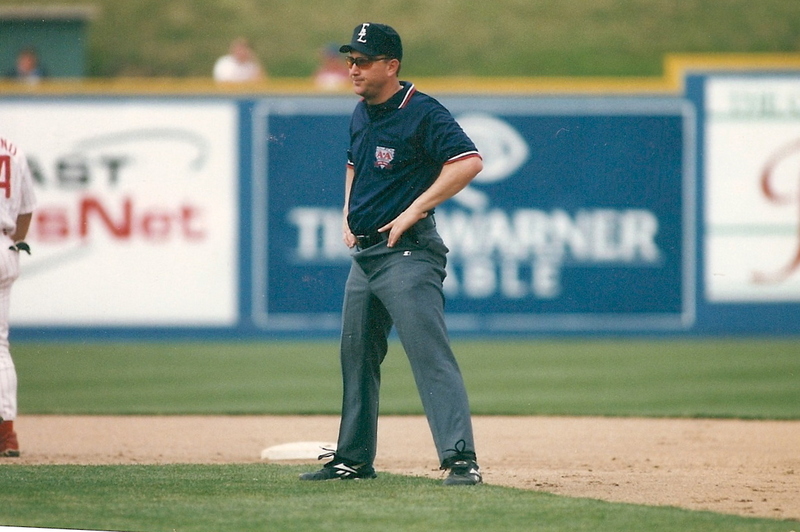 The odds of an umpire’s reaching “The Show” are even longer than for a player. The major league roster of umpires is about 70 names long, and openings are few and far between. “The sad fact is that most guys won’t make it” Taylor said, “It’s not like players, where there is a lot of turnover. The only way you make it up to the majors is if one guy either retires or dies. 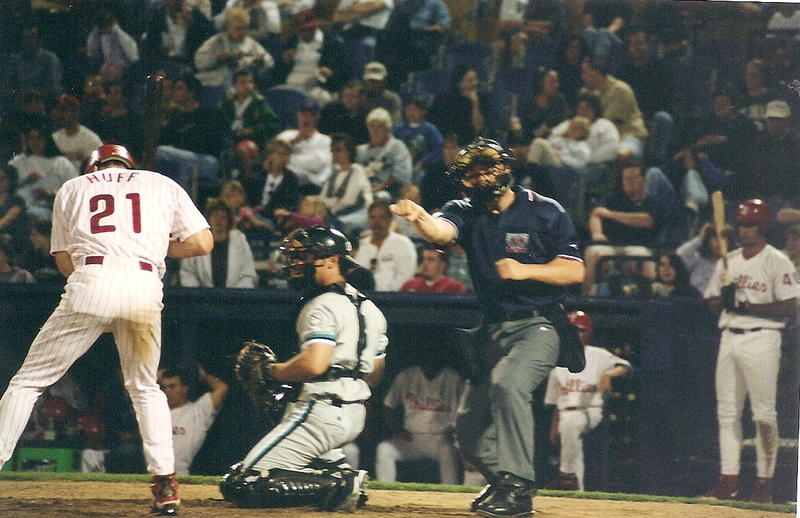 When the expansion Arizona Diamondbacks and Tampa Bay Devil Rays begin play in 19998, four more umpire spots will be added to the major-league level. However, that only slightly improves Taylor’s chances. In that regard, Taylor gets tested every game-not only in making the standard calls, but dealing with those who take exception to his decisions. During a contest last week, Taylor had to deal with one belligerent pitching coach who was chastising him from the dugout. Taylor said that his patience with the pitching coach eventually wore thin-and he finally tossed him out of the game. As Taylor recalled the story, one could tell from his voice that he was wearing a wry smile. “Yeah, I took care of him, all right” Taylor said. 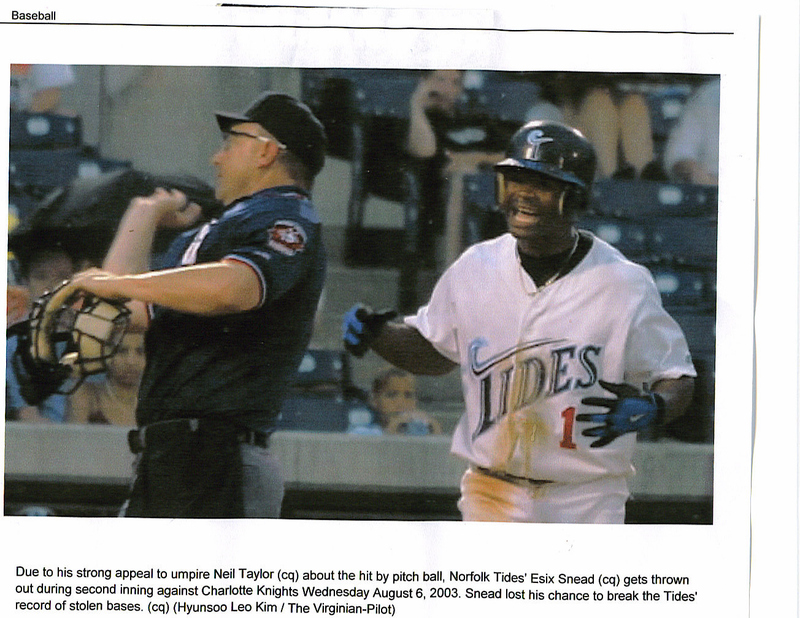 This article, year one of an eleven year career, spanning the entire minor leagues and several hundred big league games. Neil amassed six championship series, two All Star games and was crew chief 7 of his 11 seasons.